Ever shopped for wax before? It’s amazing how many options exist these days. It’s also pretty daunting. Wouldn’t you agree? How do you even begin to decide? What do you look for? Is wax even still useful or necessary these days? A quick sprint through this guide and you’ll have the answers to these questions and more! What are the Benefits of Car Wax? What are the Drawbacks of Car Wax? What Makes a Quality Wax? What Types of Automotive Wax Exist? What Cloth to Use for Waxing a Car? How Do You Apply Wax to a Car? Can Auto Wax Be Layered? When Should You Not Apply Wax? Should You Wax a New Car Right Away? How Do You Remove Wax from Paint? How Long is Car Wax Good For? What is the Best Wax for Clear Coat? What is the Best Wax for Gel Coat? What is the Best Wax for Fiberglass? What is the Best Wax for Single Stage Urethane? What is the Best Wax for Single Stage Lacquer? What is the Best Wax for Red Paint? What is the Best Wax for Black Paint? What is the Best Wax for White Paint? Automotive wax got its first start way back in the early 1800’s in a German town called Bischofsheim. It was a substance rendered from animal fats with the purpose of protecting the lacquer like paint on horse carriages. In the modern automotive world wax is a compound created from both naturally occurring and synthetic substances designed to both protect and enhance finishes such as paint and clear coat. Wax can be found in both liquid and paste form and is typically applied by spreading it over the surface you wish to protect. It’s often found in round metal cans and plastic squeeze bottles down the automotive cleaning supply isles at your local big box store. These days most waxes are created by combining a variety of both natural and synthetic substances to enhance its durability and luster. Most traditional waxes are carnauba based. Carnauba is extremely hard in its pure and natural form so it must be blended with softer waxes, miscible oils, and petroleum distillates to make it more workable. When a wax advertises that it is pure carnauba or 100% carnauba it means that the carnauba in the product is pure, not that it’s solid carnauba. If that were the case it would be unusable and incredibly expensive. Carnauba Wax – Also known as palm wax or Brazil wax this hard wax is derived from the leaves of the Brazilian Copernicia Prunifera palm tree. It is obtained by beating the wax off of the dried palm fronds and then refining it for use. On the plant it is hydrophobic (repels water) and is optically clear making it a great application for automotive finishes. Beeswax – A moderately durable wax found in honeycombs. It’s typically mixed with the much harder Carnauba Wax to make it more workable. Petroleum Distillates – Solvents derived from crude oil that help clean the paint and make wax more workable. Oils – Linseed Oil and other emollients (moisturizers) are used to add shine, luster, and conditioning properties to the wax. Silicones and Plastics – More commonly found in sealants these substances add durability to the wax, sometimes at the cost of luster. Resins and Polymers – Synthetic substances that adhere to painted surfaces to provide longer protection and added durability. Of all of those ingredients, the one you probably recognize the most is Carnauba. This type of wax has been the gold standard of automotive and marine waxes for decades and rightfully so. Even with the modern advances in waxes and sealants, you’ll still be hard pressed to match the shine and warmth a good Carnauba based wax can provide. Wax adheres to the surface it’s applied to. 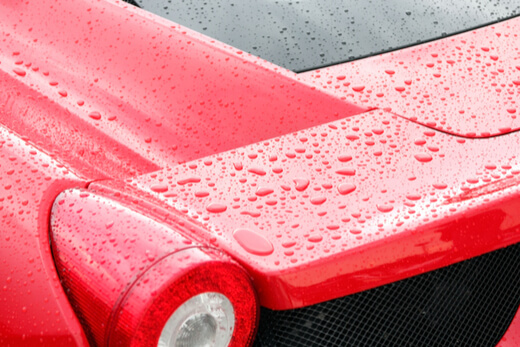 When allowed to dry to the surface and then buffed off it leaves behind a very thin layer that has both hydrophobic and reflective properties. Within the wax are other substances such as oils and solvents that can enhance the appearance and condition of the finish underneath. Since wax is not a permanently bonded layer it will wear away over time and need to be re-applied. Waxes with more synthetic ingredients will last longer, sometimes at the cost of its reflective properties. Fully synthetic paint sealants will last longer still, again at the possible cost of optical properties, but they are out of the scope of this article. Wax is first and foremost a protective barrier for your automotive finish. A wax barrier protects your finish from oxidation and a variety of contaminants such as dirt, bugs, salt, industrial fallout, brake dust, and so forth. The better protected your paint is, the longer it will last. This is especially important in the case of clear coated paints because the clear coat is what actually provides the UV protection for the paint underneath. Contrary to popular belief (and wishes judging by all the people searching for the best car wax for uv protection) waxes do not provide a meaningful amount of UV protection. Wax merely protects the clear coat to let it do its UV blocking job. Some waxes, called cleaner waxes, can even remove light oxidation and contaminants when applied because they contain abrasives and solvents. If you recall, wax is also slick. This helps reduce abrasions to your finish by contaminants and the removal of contaminants. The hydrophobic properties of wax help shed water from your paint reducing water spots and etching that can occur if water sits on the finish. It also reduces the amount of drying you have to do, in turn reducing the chance for abrading your paint. Carnauba waxes are microscopically porous as well, which allows the surface underneath it to breath. This is important for paints and plastics. Wax also has optical benefits, especially carnauba based waxes. Carnauba waxes instill a deeply reflective and warm visual quality to painted surfaces. Wax can also help fill in and cover up very light scratches. This is only temporary and you should purchase a rubbing compound or polish that is more suited for removing superficial scratches. Another benefit not often mentioned is tactility. A quality wax can actually make your paint feel softer. Modern waxes are compatible with a variety of finishes such as gel-coat, urethane, acrylic enamel, clear coat, and even materials such as wood, metal, plastic, and glass. Just about any smooth surface that is exposed to open air and the natural elements can benefit from a coat of wax. Pure carnauba wax is so useful it’s even used in the food and drug industries to protect and enhance food, medicine, and cosmetics! It cost money. That could be a drawback for some. It also requires re-application, more often than synthetic sealants, which may or may not be a drawback depending on how often you look for an excuse to play with your vehicle. Wax can last anywhere from a few weeks in the case of a delicate carnauba to a few months in the case of a durable hybrid wax with synthetic components. Many waxes also require patience because you have to apply it and wait for it to haze before buffing away. Not all waxes are this way and it’s getting better all the time. Some waxes also fail at getting along with dark colored cars in extremely hot climates, leading to hazing and streaking. Quality in terms of wax is a somewhat subjective word. As you’ve read above waxes can be engineered for luster, durability, or a sometimes compromising combination of the two. If you’re looking mostly for the soft, warm, deeply reflective look of wax you will want to look for a quality carnauba. If you’re looking for a durable, long lasting wax you’ll want something with synthetic additives such as an insulator wax. When it comes to carnauba, there are different grades. Carnauba is harvested and then graded by where it was grown, color, and purity. Trees in northern Brazil tend to produce a very high grade of carnauba. Yellow carnauba is the most pure natural wax and is graded the highest. Some products will list the carnauba grade with #1 being the highest in natural carnauba and higher numbers being a lower grade. Carnauba can even be refined further than #1 to an ultra-pure white wax for the purpose of providing the clearest and most reflective wax. This is typically reflected in the price (no pun intended). If you’re looking for durability you need to look for a wax that has added polymers and other synthetic ingredients in conjunction with a high grade carnauba. This will give you a good compromise of durability and luster. On the more preferential side of things, waxes with higher concentrations of beeswax and/or petroleum distillates will be easier to work with but will not last as long as a higher carnauba content wax. Most big box store retail waxes, unless otherwise labeled, are a form of cleaner wax. This is because they are being marketed to the average car owner who isn’t likely to be using an arsenal of products but is likely have neglected paint and will be impressed (and therefor satisfied) by the outcome of a cleaning wax. These waxes will typically be labeled as a finishing wax. They are marketed toward the automotive or detailing enthusiast that either has brand new paint or has just completed a multi-step polish to clean, compound, and polish their paint to excellent condition. The finishing wax would be a last step product or “icing on the cake” so to speak. Within these two sub-categories of Cleaner Wax and Finish Wax there is also a myriad of wax types for preferences in usability or condition of application. The most traditional form of wax. Typically of high carnauba content (carnauba is very hard). This wax is typically found plastic tubs or metal cans. 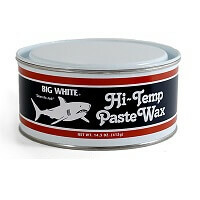 This type of wax is most often used for hand application. Contains higher concentrations of other ingredients designed to improve workability and ease of application. This type is typically easier and faster to apply and remove. This type of wax is also easier to use for machine application. Also known as quick detail waxes, these waxes are meant to supplement paste or liquid waxes. Use spray wax to boost the appearance and longevity of your regular wax between waxings and after car washes. These waxes are also good for use as a clay bar lubricant. 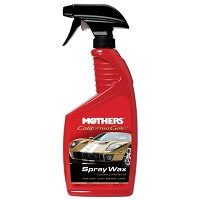 A form of hybrid wax, these waxes contain polymers that resist higher surface temperatures such as those found on black vehicles in the tropical or desert sun. These waxes will resist hazing and streaking. 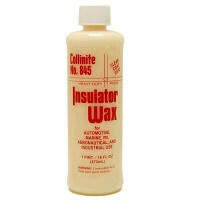 I admit this isn’t a category on its own because the term “insulator wax” is coined by a company named Collinite. If you Google insulator wax you’ll undoubtedly come up with results for their No. 845 wax. The term gets tossed around forums and communities enough that I wanted to mention it. This is a hybrid wax that is engineered to be as durable as possible. These waxes are even used in the marine industry to protect the hulls of boats so you know it will hold up on a car’s finish. This is my personal favorite for vehicles that have to live in the elements. Designed to adhere to both painted and polished wheels, this wax helps repel brake dust, salt, water, and other contaminants. Wheels are one the most harshly treated parts of your vehicle that often go through cycles of high temps, high speed, and blasts of dirt and water. Most traditional waxes would not hold up in this environment. Pigmented wax designed to fill in imperfections and enhance the appearance of certain color paints. These waxes are only effective on non-clear-coated paints since the clear coat is a transparent barrier between the wax and paint. Their effectiveness is also debatable. If you’re hand waxing I recommend a good microfiber applicator or cloth. If you’re applying the wax by machine you’ll use either a foam pad rated for wax or a microfiber bonnet. There is no single right method of applying wax because different waxes have different methods of application. You will have to consult your particular container of wax for the specific instructions for application and removal. Generally speaking, most waxes will be applied by wiping a thin layer onto the surface of your paint either by hand or machine. 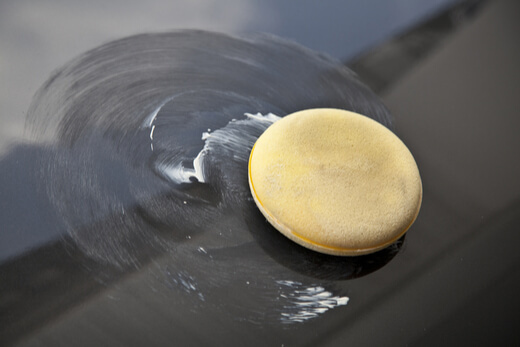 Most paste waxes will require leaving it sit until it dries to a haze and then buffing off the excess to a clear finish. Liquid waxes will sometimes forgo the drying period and allow removal immediately after application. Spray waxes almost always allow removal immediately after application. Apply car wax in the shade, unless otherwise specified on the container. If wax dries too fast and sits dried too long it can be much more difficult to remove the excess and leave a clear finish. Apply car wax to a dry car only. When your applicator absorbs water it will cause the wax the streak and be more difficult to work with. Use a poly foam or microfiber applicator to apply a thin even coat across the panel. The motion does not matter as long as the surface and your applicator are clean and free of anything abrasive. You can use circles, straight lines, or cross hatches as long as it results in complete coverage of the panel. If your wax requires it, leave it sit to dry to a haze (again, consult the manufacturers instructions as some can be wiped right off). Buff the excess wax away with a quality microfiber towel (learn all about microfiber towels here) to reveal a clear finish. Install a foam or microfiber finishing pad onto your dual action polisher. If using paste wax, spread the wax evenly across the pad like are buttering a piece of toast. If using a liquid wax, prime the pad with a few dime size dots. Place the pad against the panel and spread the product around (if using liquid wax) before turning on the polisher. If you’re using a finishing wax turn the machine to a speed of 3-4. If you’re using a cleaner wax with abrasives because you’re trying to do some minor paint correction you’ll want to set the speed around 4-5 on most common DA polishers. With the machine turned on, spread the wax evenly across the panel. Turn the machine off while the pad is still on the panel to avoid slinging any product through the air. Depending on your wax (reference the instructions on the product container) you may be able to proceed to spreading wax across the rest of the vehicle. Once the product has been applied and dried to a haze (if required by your wax’s instructions) buff off with a quality microfiber towel. There are also microfiber bonnets that you can buy to place over your polishing machines pad so you can remove the wax with the machine. Again, read your wax’s label for specific directions to be safe. Most waxes aren’t formulated to be layered, meaning multiple coats wont build up on each other. Car waxes don’t typically cure or cross link with the surface so multiple applications will simply remove the first application. There are exceptions to this so it’s best to consult the manufacturers instructions. Wax should not be used on brand new paint until specified by the painter. This is often between 30 and 90 days after the paint was applied. There is a curing process that happens where solvents and other chemicals evaporate from the paint. Wax can hinder this process. In general, if your car was not sold to you with any sealants or special coatings already applied you should buy a wax or sealant to apply to your car so it is protected from day one. The paint on most new cars is completely cured in the factory and does not require time to cure after production. This is usually done prior to compounding work, paint work, or the installation of vinyl graphics or emblems. There are a variety of cleaners on the market advertised as “Wax and Grease Removers” that are incredibly effective at removing wax. Another option is to use a polish such as Meguiars m205 which will abrade the wax away (and a tiny amount of clearcoat as well as all polishes and compounds do). Most car waxes are good for a couple to several years provided you keep them sealed and in a cool environment. I’ve used both Mothers and Meguiars paste waxes from the can that were several years old and they performed flawlessly. Some liquid waxes may separate after prolonged storage. Shaking them up should return them to duty. If the liquid wax is chunky even after shaking it up it’s time to toss it. Any finishing wax is going to be great for a clear coated paint. Where you need to be careful is cleaner waxes. Be sure the cleaner wax you select is advertised as clear coat safe. If it doesn’t say, move on. Aside from that pick something affordable with and appealing scent and ease of application. 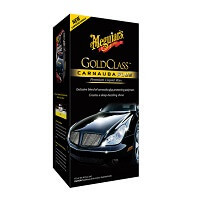 You can’t go wrong with Meguiars Gold Class Carnauba wax or their synthetic Ultimate Wax. Gel Coat is most commonly found on boats and RVs. Boats and RVs live in very harsh conditions. Gel Coat is very prone to oxidation in these conditions. Unless your Gel Coat is brand new you’ll most likely benefit from a cleaner wax with abrasives to help remove the oxidation. You’ll want to look for wax that contains polymers and other synthetic ingredients to boost its durability. In fact, this would be a good use case for a fully synthetic sealant instead of a wax since durability is king in this realm. Meguiars Flagship Premium Cleaner/ Wax would be an excellent, affordable choice. If your gel coat is in particularly rough shape and you are willing to take a two-step approach you could start with Collinite #920 and finish with #925. Most fiberglass is sealed in what is known as Gel Coat which covered above. Some fiberglass is painted and cleared. In this circumstance, the same recommendation for clear coat applies. These coatings are much harder than the lacquer paints of yesteryear. If your paint is in a little less than perfect condition you’ll need a cleaner wax with abrasives to correct any damage. If your paint is in good shape any finishing wax will serve you well and really make the urethane pop. If your paint is heavily oxidized, no wax will help it and it will need to be compounded first. Old school lacquer paints respond really well to cleaner waxes when minor conditioning is needed to restore the finish’s luster. Meguiars Flagship Premium Cleaner Wax works here as well. These paints are softer than the newer age urethane paints and benefit more from a really durable wax such as those containing polymers and other synthetic ingredients. Another option, which is available for all other types of paints as well, if your paint is in great shape is to apply a synthetic sealant and then layer a quality finishing wax on top. If your paint is good enough to skip the cleaner wax I would shoot for Collinite #845 wax for durability. I hate raining on parades but the hard truth is that different waxes do not affect the overall look of different colored cars. The only exception would be single stage paints (paints without a clear coat) that may benefit from a pigmented (colored) wax to help cover up minor imperfections. Even then, the results are hardly noticeable. Red does go well with the warmth and depth that a good carnauba wax provides however. Meguiars Gold Class or Ultimate Wax would be perfect. Just as I stated for Red above, you’re not going to see much difference between different waxes just because your car is black. If your paint is a single stage without a clear coat and has superficial scratches you might receive a very temporary benefit from a black pigmented wax. I’d honestly rather you use polish or cleaner wax to try and remove the imperfections than cover them up. If you live in a particular hot and sunny climate, you may benefit from a semi synthetic wax designed to stand up to the higher temperatures black paint can experience. Finish Kare 1000P Hi-Temp Paste Wax would be excellent for this! White paint is very forgiving in the reflection department. I have owned several cars and have always opted for a durable hybrid wax or synthetic sealant. Carnauba doesn’t add much to white paint so the extra durability from other technologies is more appreciated. My personal favorite is Collinite #845. It’s easy to use and lasts a long time. If you’re trying to make white pop, wax won’t do it on its own. You need to fully decontaminate the paint with a product like Iron-x and compound away any imperfections that are dulling the finish. Above all else, the best wax is the one you’re most likely to use consistently. So find what you like and use it often!